Yesterday, Anime Limited announced plans to hold the international premiere of Mari Okada’s directorial debut, Maquia: When the Promised Flower Blooms at the prestigious Glasgow Film Festival on 4th March (tickets available here). Eagle-eyed fan DigiKerot however, has noticed that another Anime Limited title is also headed for the festival. 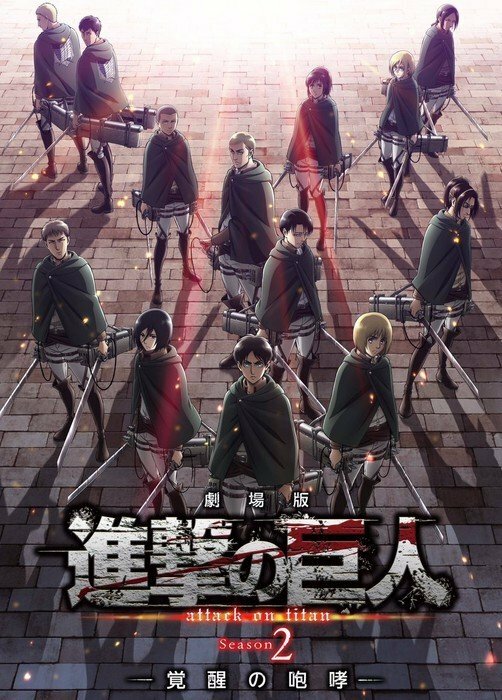 Attack On Titan: The Roar of Awakening, a feature film recap of the popular franchise’s second season, is listed as also listed as being shown at the festival – which has been confirmed by Anime Limited Marketing Manager Andy Hanley, who notes that the advertised date is a placeholder and not final. We’ll of course, keep you updated when official details are confirmed. Attack On Titan: The Roar of Awakening opened in Japanese cinemas on 13th January 2018. Season 2 is currently scheduled to be released in the UK by Sony Pictures Home Entertainment on 26th February. Anime Limited confirm a wider, limited theatrical release for anime recap film “Attack On Titan: The Roar of Awakening”, following last week’s festival announcement. A tightly paced and action-packed thrill ride, Attack on Titan: The Roar of Awakening is a spectacle not to be missed. If you like Attack on Titan and free stuff as much as we do, you won’t want to miss this Attack on Titan: Roar of Awakening giveaway!